Volunteers from the East Gippsland Dog Obedience Club, Therapy Dogs Group are Dogs Victoria/VCA accredited and has been created for the purpose of increasing the quality of life for residents in aged care facilities. •Promote a general feeling of wellbeing, unconditional love and acceptance for all residents. •Help encourage and aid speech functions. 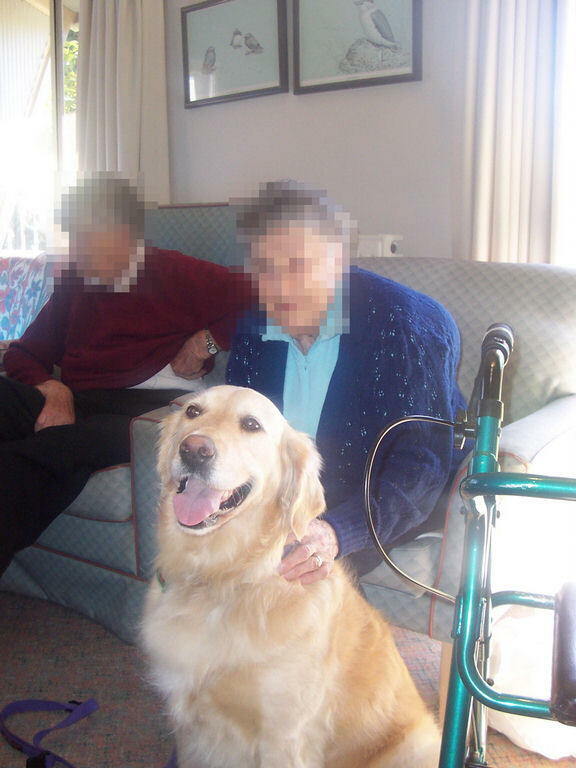 •Provide simple physical activities for those who are mobility impaired by patting the dogs. •Large dogs make a good companion for someone in a wheelchair, or bed sitting patiently and allowing the patient to stroke their fur. •They must love attention, being patted & not be shy. •They must also have basic obedience training and should be conditioned to sudden noises, movements and hospital equipment (i.e.-wheelie walkers, wheel chairs etc).